The next edition of the Athens Biennale will be symbolically entitled “OMONOIA (Concord). 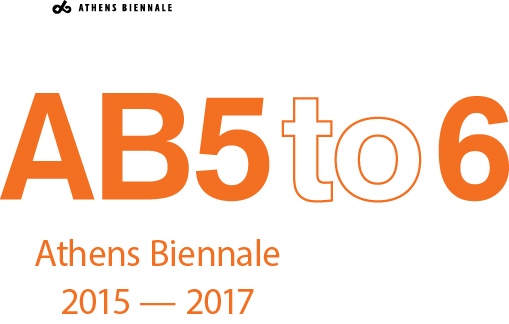 The next edition of the Athens Biennale will launch its activities in October 2015 and, in contrast to the typical model of a Biennale, will run through two years and peak in June 2017 with the opening of Documenta 14. In view of the critical historical juncture, the Athens Biennale Omonoia 2015 – 2017 focuses on burning issues such as the development of an alternative economy, the performative in the political and the establishment of institutions that re-define the system’s structure and its pre-existing models, while highlighting the current views of contemporary art. 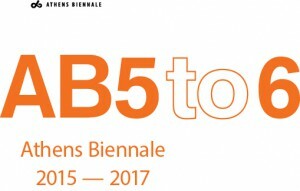 The Athens Biennale 2015 – 2017 builds on the successful fourth edition of 2013 (AGORA), forming a curatorial team consisting of social philosophers, political thinkers, art theorists, curators and artists, through various venues across the Athens center, and, more specifically, at Omonoia. The aim of this two-year period and the collaboration with the Municipality of Athens is the discovery of a permanent location for the organization’s partnerships, in which the activities of Athens Biennale 2015 – 2017 will take place. The four-storey building of the former hotel Bageion, an excellent example of Athenian urban architecture, dates back to the late 19th century. Ernst Ziller built the hotel between 1890 and 1894, after a donation provided by Ioannis Bagas. The Bageion is located on Omonoia Square, an area that was the centre of secular life and the commercial point of the city until 1930s. In the early 1920s, the Bageion became a spiritual refuge for the young writers of the time (for instance, Mitsos Papanikolaou, Napoleon Lapathiotis, Tellos Agras, Minos Zotos, and Nick Saravas) and became an important place where a new generation of Greek Literature was formed. The opening of the Athens Biennale 2015 -2017 begins on the 25th of June 2015 with the installation of two large-scale works at the Bageion hotel. Rhinoceros by Nikos Kessanlis, 1997, is displayed in the former ballroom, and in the facade of the building the sign Αντερ Κονστράξιον, (ie. Under Construction ), 2015, by the Underconstruction Group.